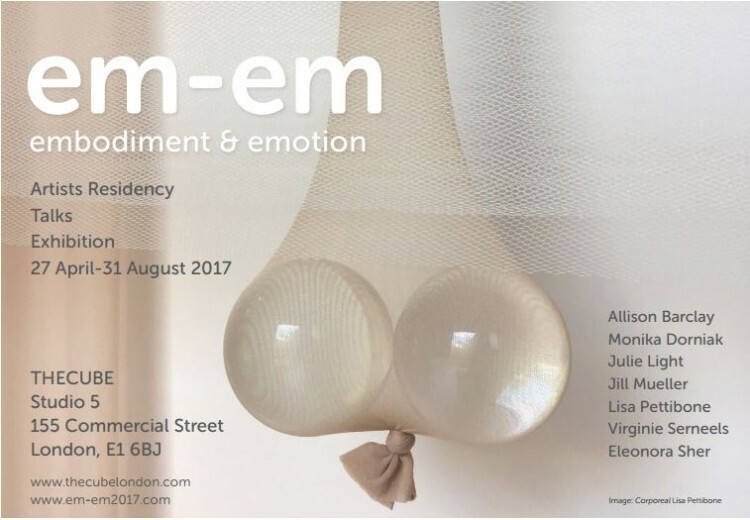 Em-em (embodiment and emotion) residency is a 7-month-long collaboration between seven Central Saint Martins’ MA Art and Science students and THECUBE in East London. THECUBE is a co-working and exhibition space dedicated to design, science and technology, and hosts a research lab focused on the study and understanding of how human perception works. For the residency, the artists’ approaches investigate a range of themes in relation to embodiment and emotion, including memory and objects, sensory perception and colour, gravity, dis-embodiment, and where emotions reside in the body. Our explorations manifest through diverse media including—but not limited to—sculpture, installation, painting on paper and glass and photo collage.